Prescribing anti-depressants to children is dangerous, a psychiatrist claimed yesterday. Sami Timimi said SSRI-style drugs such as Prozac did not work and may have led to a 'small but tragic number of avoidable suicides'. 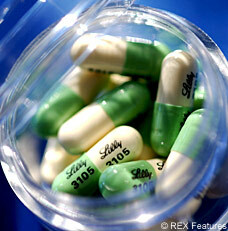 An estimated 40,000 children a year take SSRIs - selective serotonin reuptake inhibitors. Writing in today's British Medical Journal, Dr Timimi said: "Continuing to use SSRIs in young people is not good value for money, dangerous and ethically unsound." Dr Timimi, who works in Lincolnshire, claimed that marketing spin had taken precedence over scientific accuracy. Prescribing most SSRIs to under-18s was banned by health chiefs almost four years ago because of fears over harmful side-effects. But Dr Andrew Cotgrove, another expert writing in the same edition of the BMJ said the drugs had an important role to play in the treatment of depression or obsessive-compulsive disorder in the young.